Fantasy Wars is played in a hex format that strategy gamers will be pretty familiar with. This version of a hex war simply looks much better than those that are usually released onto the market. 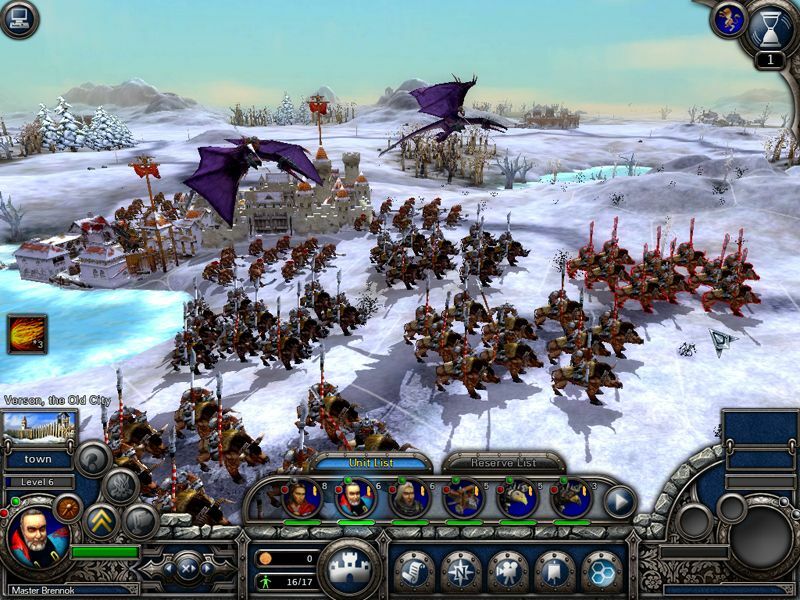 Using the 3D engine, units can gain advantage by using the terrain wisely when planning attacks. Not only will you see several unit types for each faction, but terrain filled with towns, castles, forests, and more. Certain hexes will hold distinct defensive advantages and players will have to consider their tactics carefully before throwing forces into the thick of it. The units in Fantasy Wars are now displayed on the map. When zoomed out, the unit will be displayed by a large version of that army type as is the case with most turn-based strategy games. 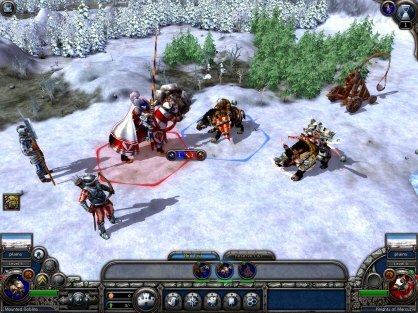 When zooming into the map a little farther, the unit representation will become more literal as you'll see the actual number of orcs in your orc archer unit. While the number of units will be represented as health when zoomed out, it tends to be an easier visual clue when up close to the battle. On top of easy planning, zooming will allow you to check out the actual battles between the units, whatever they may be. In the short bit we played, we had the chance to see our hero unit Ugraum kick the crap out of a whole group of goblin warriors by first charging and running some over and then hunting down the rest for a good slashing.